As some of you may know, we were nominated in for the Use of Video for Business Award. We later found out that we had been shortlisted for this award and we later made the finalist for this prestigious award. The video for business award is based on the Creative Networking video that was made for us by Ellen Jackson Videography, it is an excellent video and really shows the true Creative Networking style. The video is friendly, engaging and informal which is exactly what Creative Networking tried to be. Ellen had created us a wonderful video and it was only expected that we would want to share it across social media but it is also on our Creative Networking website page. Last night was the awards ceremony for , sadly we were unable to make the event but it looked like it was brilliant fun, lots of fabulous finalists were in attendance and the event was live tweeted which is where I made sure I kept on top of everything that was going on. The results came in for ‘Use Of Video In Business’ award, Bronze place was taken by Ieso Digital Health by OST Marketing, Silver was taken by PEM and Gold was snapped up by Imagen EVP. 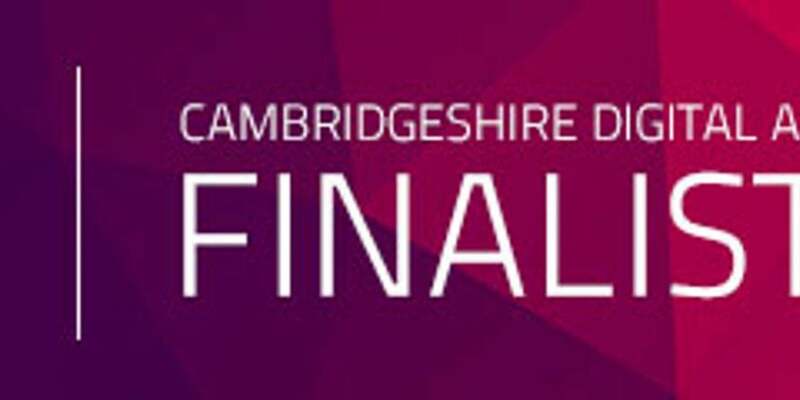 Of course we were gutted not to place Gold, Silver or Bronze, yet we have to remember we were still finalists – we were in the top 4 for the whole of Cambridgeshire and all the videos that are used for business. We would like to take this chance to thank Ellen Jackson Videography for producing a wonderful video for Creative Networking and also congratulate her on creating such a high quality video. It is testament to her that the video was a finalist for Cambridgeshire. We would also like to congratulate Geek Designs for gaining Silver in B2B Website of the Year, these are the guys that made our website and we feel the award was very much deserved – well done!